The implementation of K12 education has undergone radical reforms all over the world. Oftentimes we are made to feel as if our own education systems are inferior to those other nations who invest more of their annual GDP in education. The oft-quoted trope about the superiority of the various Asian education models, where suicide is a common enough malady when students don’t meet rigorous examination requirements, are quite familiar to even the novice educator-to-be. The same tropes exist about the Scandinavian countries. Those northern European countries all offer a much better education model than our own, right? Surely we could learn a lot from studying their implementation of k12 education. Let us look at the education model of one country in particular that seem to always be at the forefront of these sorts of discussions in education circles and teacher’s conferences: Switzerland. Much like the implementation of K12 education systems all over the world, the Swiss education model is broken up into four parts or schools. Preschool is akin to what we would think of as kindergarten, but does not contain the pre-k or daycare model that we have in the United States. Also of note, preschool is funded and managed by the local canton, or regional municipality. This is akin to the school district in the United States being in charge of everything from financing the schools to handling their curriculum decisions. Preschool in Switzerland also varies from one to two years depending on canton. It is definitely up for debate as to whether or not that extra year will help your little one down the road or not. Along those same lines, however, primary school, what we would think of as elementary school, begins around age six. I say around, because, while compulsory schooling starts on average at age six, some cantons begin elementary schooling at age four or even five. Primary schooling covers grades one through eight, if we consider preschool as well. This will span a duration of four to six years, again, depending on regional factors. The curriculum focuses specifically on developing intellectual and creative abilities as well as a sense of responsibility for themselves, those around them, and society as a whole. This is not terribly different from our own education standard. By the time the young learner is ready to enter secondary school, which used to be called middle school but is now often called junior-high school in the United States, they might be a few years behind their more studiously oriented regional peers. This is simply based on the official time-lines given by the municipalities themselves and says nothing about a gap created by personal studiousness or academic merit. Secondary school is broken up into the lower-secondary and upper-secondary branches, just as our system is divided by junior-high and high branches. We often discuss the educational development gap in the United States when comparing the coasts to the central regions, but generally speaking, all learners are in school at the same rate across regions. In Switzerland, primary school is handled by the municipality rather than by the region; thus each city is in charge of their local primary school in terms of funding. Lower-secondary school in Switzerland lasts three years and covers grades seven through nine. In the United States there is not a standard for junior-high, thus there exist regional variances for how long a student is in that branch. My junior high experience was from grade six through eight while my brother was in junior high from grades seven through eight only. In some cantons in Switzerland, lower-secondary education lasts from grades six through nine, as is similar to certain regions of the United States. It should be noted, that these variances in time are not random, they do serve a purpose. Oftentimes, agricultural or labor-intensive economic areas of both countries have different time-frames for education to allow young people to do the farming and labor work that needs to be done. This allows for a slight variance in education speed to allow learners to catch up if they have missed something important. At least, in the United States, there is a perception of learners in these regions to be less per formant than their more economically affluent regional peers on the coasts, which also contributes to these longer incubation periods prior to beginning high school. It is not clear if this same bias exists in Switzerland, but I would posit it is most definitely there to some extent. 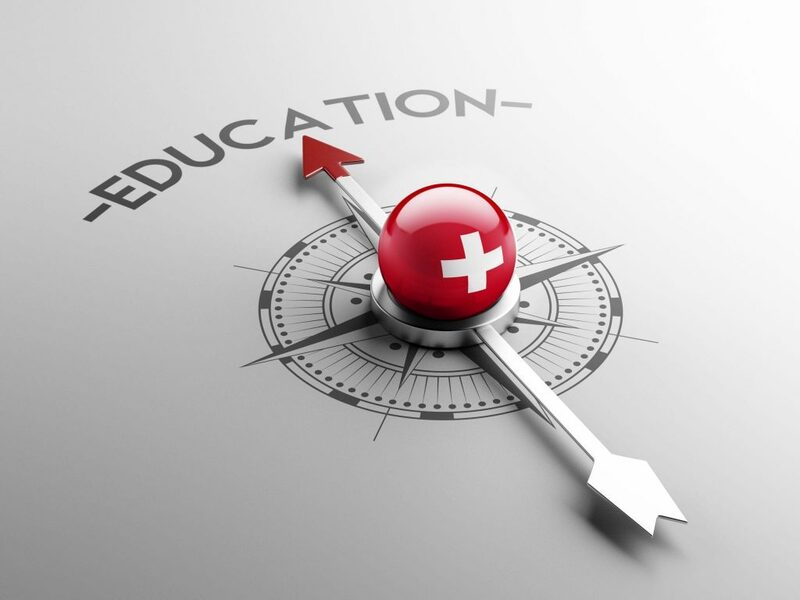 Lower-secondary education covers a wide range of subjects in Switzerland, much wider than the majority of our curriculum in the United States. Indeed much of what we gate behind arbitrary high school requirements is open to young learners at the peak of their budding intellectual curiosity and self discovery stages. Subjects covered include, but are not limited to: English As a Foreign/Second Language, Math, Natural Sciences, Social Sciences, Humanities, Music, Art and Design, Physical Education, Home Economics, Foreign Languages, Career Guidance, and Vocational Preparation. Comparisons to the educational system in America. I have taken the liberty to outline the subjects that are responsible for the biggest gap in education development between our two regions. It is this key difference in our implementation of k12 education that starts a ripple effect that lasts long into adulthood and university life. Our education system was designed to create skilled workers and is quite dated by modern standards of instructional design and education methodology. The Swiss system, however, has since been retooled completely based on modern theories of education and instructional design, and sets at its foundation the goal of creating modern, productive, members of society. That is to say, individuals who have a responsibility to be a part of humanity as a whole. It is often used as an example model for study in modern instructional design programs in the United States. How many times have we lambasted the fact that young people should learn real skills such as balancing a checkbook or filing taxes in school? Did you also stumble into adulthood wishing your education had prepared you for things like job interviews and understanding the importance of benefits such as a 401k plan? I cannot say that all students take advantage of all of these programs in their short lower-secondary educational lives, but the fact that they are offered speaks volumes towards the pro column of their educational model versus our own. Moving forward into upper-secondary schooling, the first thing we notice is that their high school model is broken into two different sections: general education, and vocational education. While their high school also lasts three to four years, young learners are presented a very unique and precious choice. From the get go, they are told that they can prepare for an academic lifestyle that includes preparing for university, or they are told they can take up a vocation, or trade, and work their way into a career that interests them. I’m not going to paint this as rosy as some in the field want to do. Expecting young people still struggling with puberty to make such a decision is difficult and fraught with its own problems, no doubt. That being said, presenting both sides as an equal decision is far more valuable than the education itself. Students no longer need to hide their desire behind a false pretense of faking their way through the university system simply for a chance to do what they love. We do not need to go into the derision that the implementation of K12 education model in the United States puts on tradesmen or laborers. I certainly remember being told countless times that not going to university was a failure in life and the punishment for not succeeding was being forced to flip burgers. How I would have loved to know what I know now! My life would be completely different if, even once, an adult had presented both options fairly. Those learners who take advantage of the vocational program still study the same amount of time, but they are given apprenticeships in local training companies. Imagine being able to finish high school with your electrician’s apprenticeship out of the way, commanding a living wage. This is a reality in Switzerland, and in my opinion, it represents the strongest point of capitalization against our own education system. If there were one thing I could supplant from their implementation of k12 education and splice it into our own, it would be the vocational education system. Pros and cons exist on both sides. Their model produces workers of both the trade and academic type. We leave trades up to the trades people, which gives the young people a few more years to make that life changing decision. It is my opinion that we should consider giving the young people this heightened responsibility rather than shielding them from it through their high school years. All things considered we must consider the size of these two nations when we look toward other nations for educational reform ideas. As a closing thought, it is worth nothing that all of the countries approaching the size of the United States have educational models remarkably similar to our own. Just something to think about.